When shopping for a new heating or cooling system, homeowners do a lot of research on the equipment itself. Potential buyers investigate energy efficiency ratings and advanced features, which are huge selling points, distinguishing one system from another. Homeowners may even configure a payback analysis to determine how soon their new HVAC system will pay for itself, or work to estimate total monthly energy bills based on the prospective system’s energy efficiency. All of the above is truly great to look at when shopping for a new system – but one critical element many overlook is that the HVAC installer you choose is just as important as the system itself! 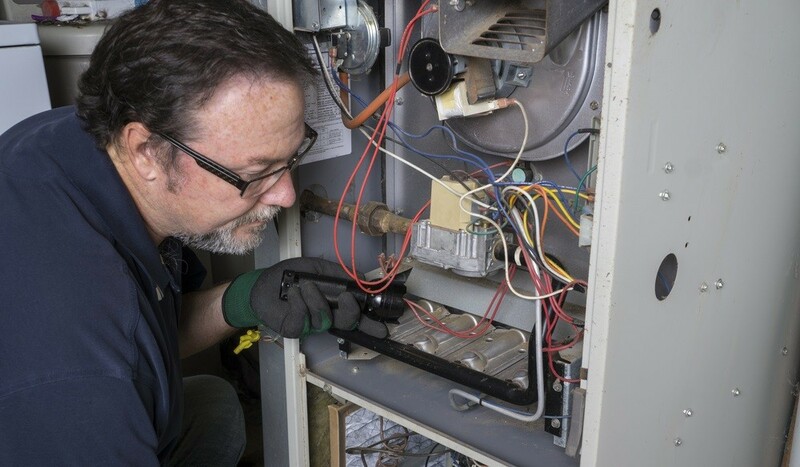 It doesn’t matter how many bells and whistles your new air conditioner or furnace comes with – if you hire a bad installer, those features won’t do you much good at all. As you shop for new HVAC equipment, remember – shop for an HVAC installer as well. The one you choose will have a great impact on the heating or cooling system you purchase, as without quality installation, your new HVAC system will not do the job you expect of it. Interviewing HVAC installers should be just as important as examining system efficiencies and features as you shop for new heating and cooling units. The performance and efficiency of any new system you purchase is pretty much in the installer’s hands – if installation is botched, your equipment will not offer the comfort and energy savings you banked on when you purchased it. HVAC installers should always follow manufacturer instructions and industry best practices when installing new heating and cooling equipment. When installation isn’t up to these standards, many problems can result. Bad HVAC installation inhibits efficiency. The efficiency ratings you reviewed when making your purchase decision are dependent on proper installation. Improper installation may cause your new unit to consume excess energy, raising your utility bills – all that money you invested in a high-efficiency unit won’t produce the benefits you expected. Bad HVAC installation hinders performance. Your new heating or cooling unit may be prevented from delivering the hot or chilled air you expect. Installation issues which hinder performance place added stress on the system, as it struggles to do the job you’ve called for. Your home won’t be as comfortable as you’d prefer, which may trigger you to run additional systems or adjust thermostats, therefore spending more and more unnecessary energy. Bad HVAC installation shortens system life. An improper install may force the system to perform under less-than-ideal conditions, stressing components to the point of breakdown. Over time, this added stress, generated by the initial bad installation, may lead the system to permanently break down well before you expect. This will leave you with unexpected replacement costs and a possible panic situation, should the system die suddenly. In most areas of the country, homeowners have many options to choose from when in need of a heating and cooling contractor. Not all you’ll come across possess the right qualities and skills to ensure your new system is installed correctly. As you evaluate local HVAC installers, your final selection should possess these key qualities. 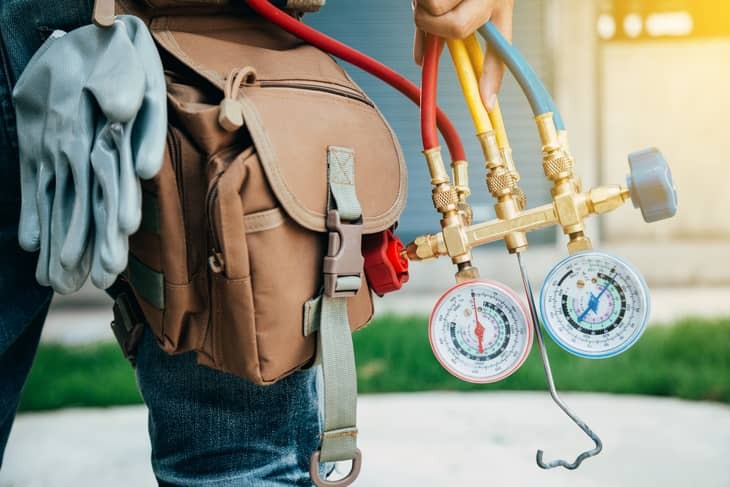 If you’ve already determined which make of new HVAC system you’ll purchase, you want to select an HVAC installer with experience installing that brand of equipment. Experience and training teach contractors the ins and outs specific to a brand of equipment, allowing them to perform accurate installation each time. 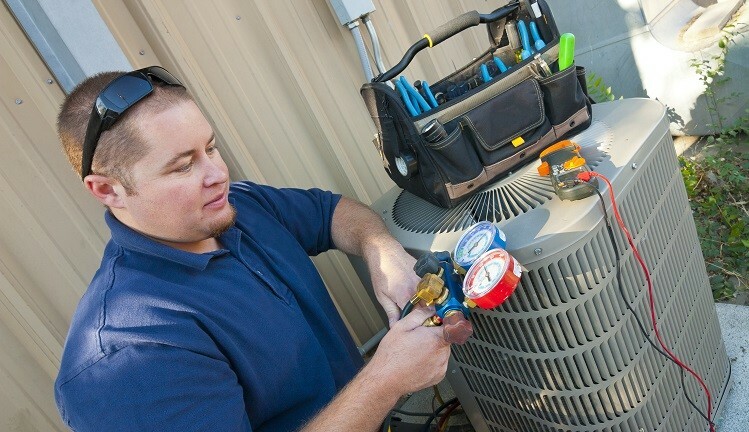 Many equipment manufacturers have “qualified HVAC installer” programs for their brands. Qualified HVAC installers receive training and education surrounding the brand and its equipment models. This allows the manufacturer to ensure the contractor can properly install their models, and knows the pertinent information about their equipment which may vary from other brands. These HVAC installers may also receive manufacturer-approved customer service, repair, and maintenance training, allowing them to provide not only accurate installation, but a superior customer experience and the services homeowners need over the service life of their system. Manufacturer training allows the brand to ensure the contractor is able to accurately match customers to the appropriate HVAC system for their homes, and answer any questions the customer may have about the brand’s equipment. The North American Technician Excellence organization, or NATE, is the largest non-profit certifying organization serving the HVAC industry. NATE certification shows that an HVAC installer holds the knowledge and skill to properly install heating and air conditioning equipment, utilizing industry best practices. To obtain NATE certification, HVAC installers must pass NATE’s rigorous exams, covering certain types of HVAC equipment and services. To maintain certification, contractors must undergo continuous education every two years, to expand their knowledge of the field and stay up-to-date with the industry’s evolving innovations, technology, and practices. Working with a NATE-certified HVAC installer presents many advantages to consumers. A NATE-certified technician has independently pursued certification to verify their knowledge and skill. They’re committed to expanding their understanding of the industry and its advances. NATE-certified HVAC installers protect your new HVAC systems, offering high quality installation producing increased system energy efficiency. They get the installation job completed correctly the first time – NATE-certified installers have fewer callbacks than those without certification, producing fewer warranty returns. Customers who’ve worked with NATE-certified technicians report a better overall experience, compared to working with non-certified HVAC installers. Customer satisfaction with the HVAC system as well as the installer. When searching for an HVAC installer, NATE certification ranks only contractor reputation among qualities consumers want when hiring an HVAC pro. Almost every state requires HVAC technicians to be licensed. If they’re not, you probably shouldn’t hire them to work on your system. Make sure to ask your technician if they are licensed, and grab the license number from them — you can then look it up through your state contractor licensing board. Additionally, it’s good to make sure they’re insured, just in case something goes wrong while they’re working in your home. Ask if their company has both worker’s compensation and liability insurance, just in case. Almost every HVAC technician will give you a written estimate explaining what work will be done and how much it will cost. However, it’s important to get references, too. Talking to past customers can give you a good idea of how the technician works. If they can’t or won’t provide references or reports from other customers, that’s a bad sign and you should most likely hire a different technician. Your current system may be under warranty, and a good HVAC technician will follow the terms of the warranty. Or, you may be past warranty, in which case they should give you a new guarantee in writing. It’s also good to ask about how refunds work. Make sure that you are hiring a reputable company that installs the equipment properly and fully discloses their policy. In most cases you can’t get your money back should the repair not last, however a reputable company will work with you to find a solution.